This Alphington home is owned by a busy couple with four children. To accommodate their energetic lifestyle they wanted spaces that married the indoors with the outdoors. The combination of bright furnishings and terrazzo floors have created a light and airy kitchen and meals area. The house also has an outdoor fireplace and pool - features not often found in the inner-north of Melbourne. 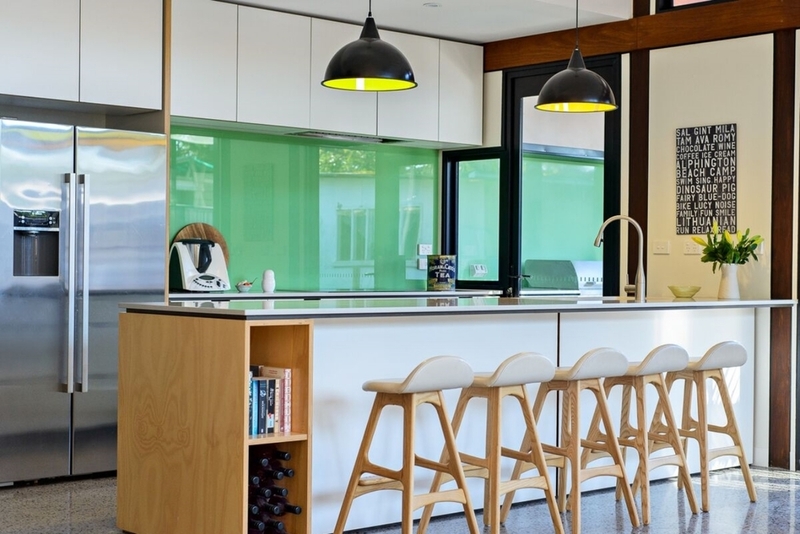 This installation is predominately a K3 Kitchen, with the inclusion of the Eco by Cosentino stone benchtop and glass splashback providing a lustrous effect.